The first stages of the build have started on the new DH63; find out more about this exciting new enigma taking shape in the Spirit yard. The build of Spirit Yachts’ first ever yawl, the 63’ Deckhouse (or DH63), has started in Spirit’s waterfront yard in Ipswich, Suffolk. Spirit Yachts has worked closely with the owner, who has a keen eye for detail, to ensure the new DH63 incorporates elegance as well as practicality for cruising and liveaboard. The deckhouse design of the DH63 incorporates a raised coachroof, which provides invaluable protection from sun and sea spray. A navigation table situated in the deckhouse allows the navigator to view the chart and the horizon with ease. Also incorporated into the deckhouse is a sofa arrangement with port and starboard bunks for use during long distance passages. Air-conditioned throughout, the interior is bright and airy with modern upholstery and overhead hatches, complemented by natural teak flooring and white eggshell timber with a mahogany trim. The saloon has seating for six diners around a central table, with additional sofa seating to starboard. The saloon allows open plan access to the galley, which comprises a fridge, freezer, gas oven, double sink with mixer tap and tailor-made storage for cutlery, crockery and utensils. A forward owner’s suite has a king-sized bed, ample storage, overhead hatch and low level mood lighting. Separate en-suite shower and toilet, both with overhead hatches, and a dressing table with a seat and vanity mirror add to this already spacious cabin. A port double cabin and starboard side Pullman cabin make up the aft guest accommodation, with a toilet, basin and shower on the port side. On deck the balance of practicality and luxury is continued with plenty of space for both storage and sunbathing. The starboard aft locker opens to reveal steps down to an opening section of the transom and a fold-out swim ladder; guests can also benefit from the hot and cold aft deck shower. The broad coamings around the edge of the cockpit, with winches in easy reach, fold-out table with built-in drinks fridge and wide, full-length seats create a comfortable seating, sunbathing and crewing area. A boom light is fitted to illuminate the cockpit, allowing alfresco dining once the sun has set. Electric winches are located on the coachroof and the main sheet is routed under the deck to ensure the cockpit remains clear. The maintenance aspect of long distance cruising and liveaboard has been considered throughout the design of the Spirit DH63. Access to the engine room, which is fitted with hi-density sound proofing, is via the deckhouse sole, saloon and guest cabin to give multiple access points for servicing. A 400ltr fuel tank is supported by a second 240ltr tank for longer passages. Lazarette lockers cater for stowage of a dinghy, outboard engine, gas bottles and all cruising equipment. A Fischer Panda 10,000i water-cooled generator is equipped with a 2-cylinder-engine and offers variable speeds for ultra-quiet running. A watermaker, carbon passarelle, washing machine, sun awnings and bimini add to this already well-equipped cruising yacht. With a 110hp Yanmar engine, the Spirit DH63 has a maximum speed of 9 knots and a cruising speed of 8 knots, and an approximate cruising range of 820Nm. 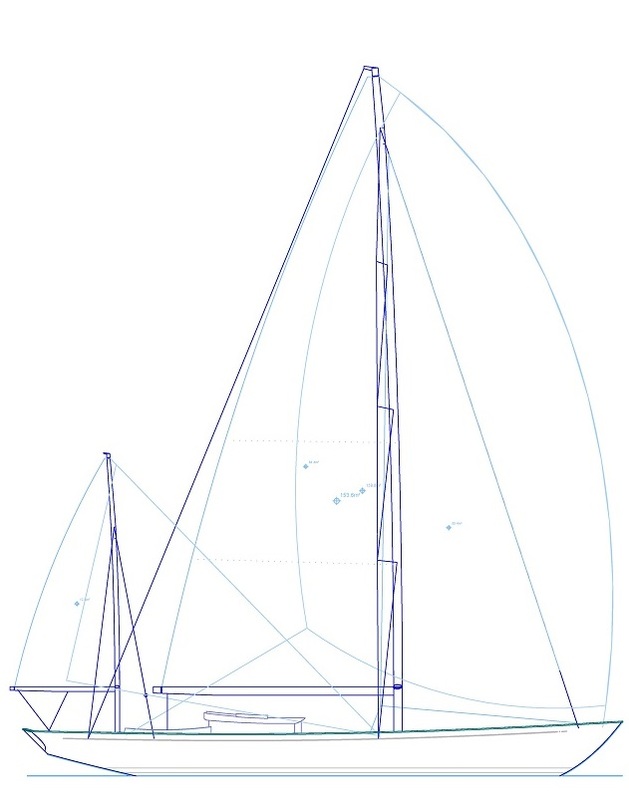 Carbon spars and nitronic rod rigging are paired with a sail plan designed for a fully battened mainsail and mizzen, a smaller 105% jib and a furling asymmetric. Spirit Yachts CEO and head designer Sean McMillan comments, “A yawl rig is particularly beneficial for a cruising yacht and during discussions with the owner we identified this would suit his plans for sailing around the Caribbean perfectly. Handling is smooth with a 48” mahogany and stainless steel wheel fitted with a steering brake and the throttle and gear change are within easy reach. A bow thruster, Raymarine navigational instruments and Lewmar remote deployment anchor are in place to assist with manoeuvring and mooring in unfamiliar harbours. 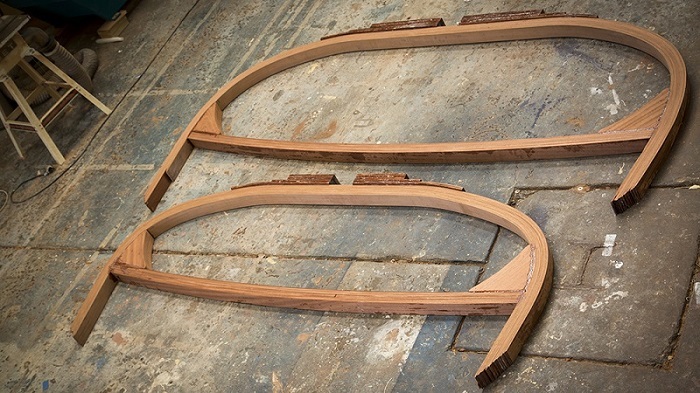 This month, work has begun on the construction of the hull, with the ringframes soon to go into a strongback ready for the first layers of planking.